13th – Bill M writes to GSO New York requesting information on organisation and funding. 20th - Dorothy sent a £5 contribution to GSO New York. 21st – M Burger of GSO New York writes to Dorothy H-E. The first known 12th Step Call in Great Britain was passed to Dorothy from GSO New York. The enquirer was a lady in Hove, Sussex. Mrs L.B. 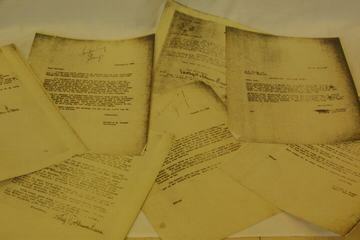 Bill M receives a reply from M Burger referring to letter of 13/3/46. When Dorothy H-E returned to New York in the October, Chris L-B took over as the London contact who wrote to Dublin Group. Bob B met with Grace O and husband in Soho Restaurant, Saturday prior to 31st to arrange a meeting. 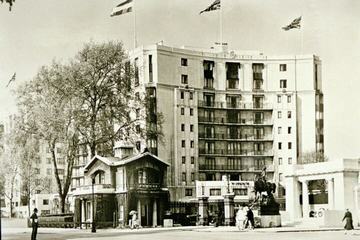 Grace offered her room at the Dorchester. 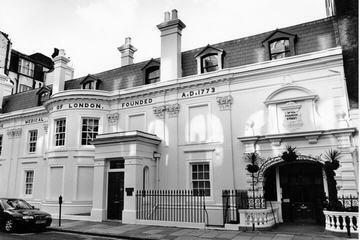 On 31st March the first recorded meeting was held in Room 202 of the Dorchester Hotel, London, at the invitation of Grace O, a visiting American member who had previously met Canadian Bob in a London Dean St restaurant. 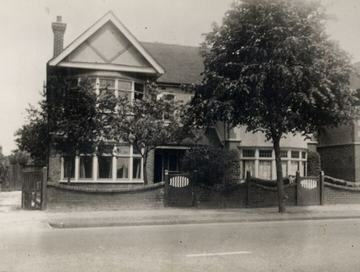 The Dorchester meeting comprised, Grace, Bob B, Chris L B, Vernon W (an American serviceman), Norman Rees-Watkins (S Croydon), Pat F (London), Ward Williams (American). Canadian Bob was made Group Secretary. Canadian Bob recalls the meeting,”It was Grace O. who really triggered off the inception of AA in England. She had written to me before she and her husband embarked at New York on one of the Queens. During lunch in London, her husband and I mapped out on a Saturday plans for a meeting the following Monday. Eight of us met in her hotel room, the last night of March 1947 and the five Londoners chose me as Secretary”. This was the First Recorded meeting although there is said to have been one held in 1946. 24th - Letter to Bobbie following Grace O's visit, "get together". Regular meetings start at Canadian Bob's house in Mortlake Road Kew, after second meeting - in the Cafe Dominion Theatre London. 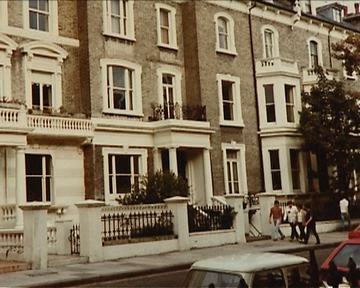 Later these meetings moved to Lottie's house in St. Johns Wood. 9th - An advert appears in the Personal Column of the Financial Times. 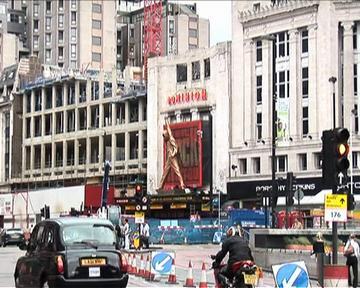 Although the advert was sent to all national newspapers by the members, the Financial Times was the only one to publish - it brought three enquiries. 15th - Canadian Bob to MRB - A long letter telling how it has been "frustration rampant". Talks of the need for service structure. It appears that numbers in groups were regulated but not looking ahead. The Lords Prayer was said at the end of meetings, visitors said either unusual or horror struck. Articles promised by "Londoner" in Evening Standard and Lancet. Canadian Bob realised that pages 8 & 9 in the Traditions could assist in sorting out the above and something done to complement e.g. service structure or being paid to attend I/G ??? - perhaps means GSO. Elect a Leader seven people per Group, and have three month sobriety. Philip D in Scotland having learnt of AA through his wife, who was a member of the Oxford Group in Scotland went to America, met George R. and was taken to AA Meetings. He was to be registered in New York as a Loner in Campbeltown. Travelling and working Americans and British were active in starting AA Groups in such cities as Rome and Paris. The very first contact in Paris was Dorothy R.
The New York General Secretary wrote to Bob, " It's a thrill to know you have a woman member". Lottie T. had joined the London Group and went on to become secretary when Bob's work took him overseas. 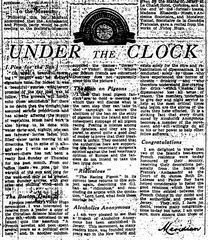 7th - An American living in Paris, by the name of Jim F., placed an ad in the European Edition of the Herald Tribune in regard to AA. The notice is still running today. Just six months earlier he had met the staff at AA headquarters in New York City and had lunch with Bill W. but now he found himself in a city where the only other local AA, an embassy staff member named Dorothy, was soon to be transferred. The ad drew a response from Jeff K., a Swiss-American then visiting in Switzerland. Aside from a delightful visit from Marty M. (one of the first two women members of AA), who was homeward bound from an international conference on alcoholism in Switzerland, the only other contact that Summer was a visiting newspaperman/publicist from Miami. Jim attended college in Dublin that Autumn then returned to Paris in June 1949. Letter to Norway concerning a pamphlet that Norway has. Bill W wrote to Lottie – reshape AA to suit GB temperament – ‘you will eventually settle on the essential principles of 12 Steps’. 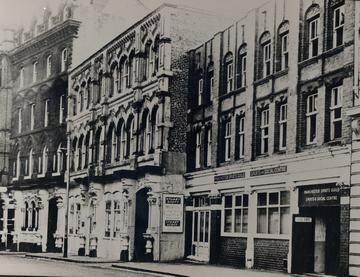 Also in November the first provincial meeting took place at Millgate Hotel in Manchester. The five members including Alan of Bolton and his wife Winnie. All made a “gentleman’s’ agreement” to stay sober until their next meeting in the New Year. This they did and 10 attended the next meeting. 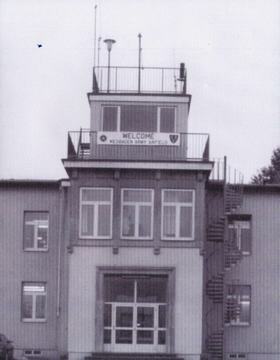 It is known that in 1948, a group in Bremen and a group in Frankfurt at the Central Chapel Headquarters and Munich Hospital in the Perlacher Forsthousing area were registered at GSO New York. 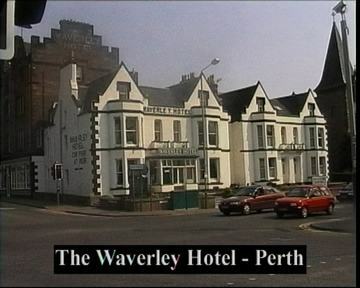 Public meeting held in St. Enoch’s Hotel Glasgow on 21st January, but there also appears to have been a meeting in Waverley Hotel, Perth in April. First signs of meeting in Liverpool in April at the Stork Hotel. Beverly Nicholls article in the Sunday Chronicle starts creating interest. Glasgow & 1st Edinburgh (Mackies Restaurant) groups registered. On July 23, 1949 in Paris Jim and Jeff succeeded in meeting and steps were taken toward getting a permanent group founded in France. They continued to meet at various places in Paris, often restaurants. Visitors and tourists joined them at these meetings. They called themselves the Group Etoile. They were in also in contact with Ann from GSO New York.This year Martin P. also joined the Paris group. Tourists and visitors came and went but on April 21 1950, six people met in a room off the lobby of the Hotel Bedford, Paris, this is believed to be the first organized AA group in France. Various plans were discussed (one which even included having a physician on call to minister to the tourists and residents who had alcohol related medical problems) a secretary was named and a venue chosen. The second meeting brought the group’s first woman member, Marjorie R.the wife of an American military member. 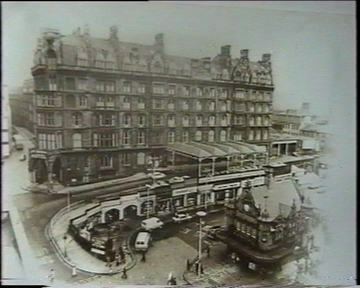 It was agreed upon to meet in Jim’s room at the Hotel Wagram on Monday nights. The room was equipped with a bathroom, stove and refrigerator. A visitor could stand on the balcony and enjoy a panoramic view of the city. Jim’s office was on the second floor of this hotel, it was equipped with telephones and a concierge to take phone messages 24 hours a day. This early ‘AA hotline’ made it possible for visiting AAs to make contact with the group. The highlight of the groups first year was a visit from Bill W. and Lois. They arrived June 6, for the 250th anniversary of the founding of the Place Vendome. Bill attended one of the meetings, made his usual inspiring talk and presented autographed copies of the Big Book. All the AAs in Paris at the time had a chance to meet and talk with him informally. Following the visit of Bill W and his wife Lois in the summer, a specially convened meeting of the representatives of the groups gratefully accepted the offer by the American Foundation of 1500 Big Books. To control the distribution and finances of this operation a separate committee was formed on 13/8/50 comprising; Bill H, Sid D, John L, Alan B, and Bob B. A bank account known as the ‘Pre-Foundation A/C’ was opened. Bill waived his rights to the royalties to BB in order that AA-GB could set up its own publishing company. Lease taken out for Central Service Office at 11 Redcliffe Gardens. Newsletter (Iechid da) produced in Cardiff. C.S.O. 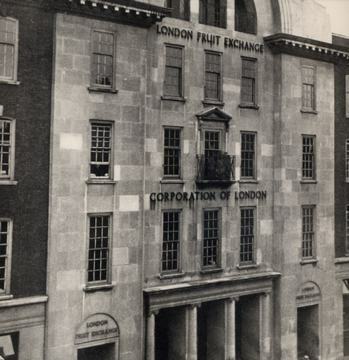 opened at Redcliffe Gardens on 1st of February 1952, having transferred from London Fruit Exchange E.1. Emily H. from Wiesbaden went to the Paris meetings and decided in 1952 to hold a Roundup in her home in Wiesbaden, Germany and invited all the then known Loners to attend the Roundup. Ten years later, Bill and Lois are invited to attend. "I am very pleased to see that a branch of alcoholics Anonymous has been established in Jersey." One Sunday lunch time in January 1960 a man, D, having drunk 2 bottles of gin, fell through the door of the home of a member of Alcoholics Anonymous, admitting as he did so, that he was an alcoholic.The lady of the house, J, had found AA in England and when taking up residence in Jersey had formed a group at her home.It is likely that the group had been running for some time. 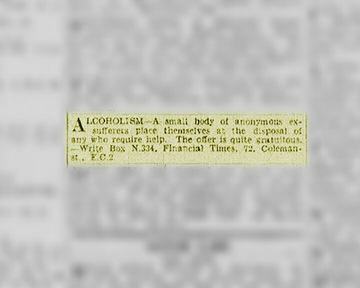 The article put in the Jersey Evening Post in 1952 shows that AA was present in the Island at that time, although it is not certain that it was the same group that was in existence in 1960. There had not been much continuous sobriety among the members so far, and although there were supplies of AA literature and contact with mainland AA, the "goings on" would make modern AAs shudder. 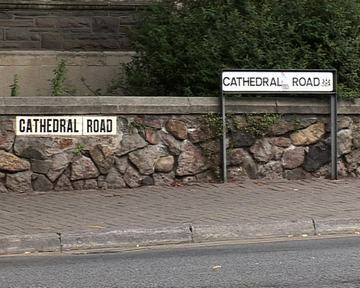 AA members in neighbouring Guernsey and on the mainland were concerned and hoped a more stable group might be established.A doctor at the General Hospital in Jersey was approached about providing a room for a meeting and D., now a few months sober, ( against all predictions) along with J. who had held AA meetings in her house, were the first two members.For eight years the Tuesday night meeting at the hospital was the only meeting in Jersey but alcoholics kept "falling through the door" and found sobriety in AA. From 1969 onwards more and more groups were formed. Today there are 25 groups in Jersey with many members who owe a debt of gratitude to those first two Jersey members.